Subscribe (via iTunes, Google Play, Stitcher, TuneIn, Android, or RSS) to never miss an episode or check out the TOPcast Episode List for a comprehensive list of past episodes and shownotes. Become a TOPcast Insider (registered listener) to receive a monthly email containing exclusive bonus content, a reminder of the current episode, and occasional interaction opportunities with the hosts. 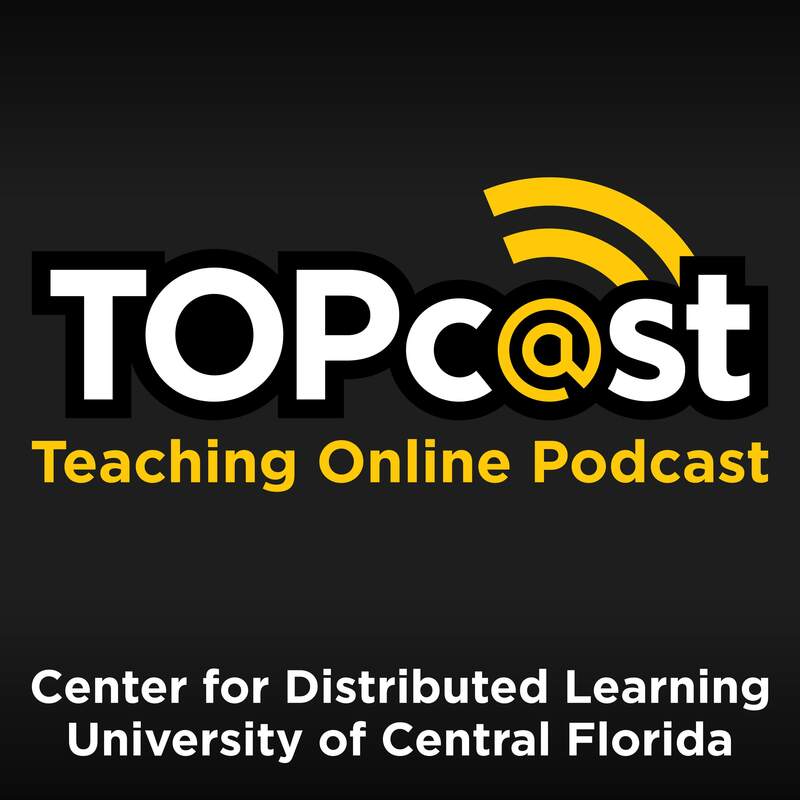 Dr. Thomas B. Cavanagh is the Vice Provost for Digital Learning at the University of Central Florida (UCF). In this role he oversees the distance learning strategy, policies, and practices of the nation's second-largest university, including program and course design, development, and assessment. In his career, Tom has administered e-learning development for both academic (public and private) and industrial (Fortune 500, government/military) audiences. A popular speaker, Dr. Kelvin Thompson regularly appears throughout the US while serving as the Executive Director of the University of Central Florida’s (UCF) Center for Distributed Learning with a faculty appointment as a graduate faculty scholar in UCF’s College of Education & Human Performance. Kelvin has collaborated on the design of hundreds of online and blended courses over the past twenty years.